Inspired by Hawaii’s tropical and relaxing environment, this Maui coastal getaway features a mix of tranquility and modernity. 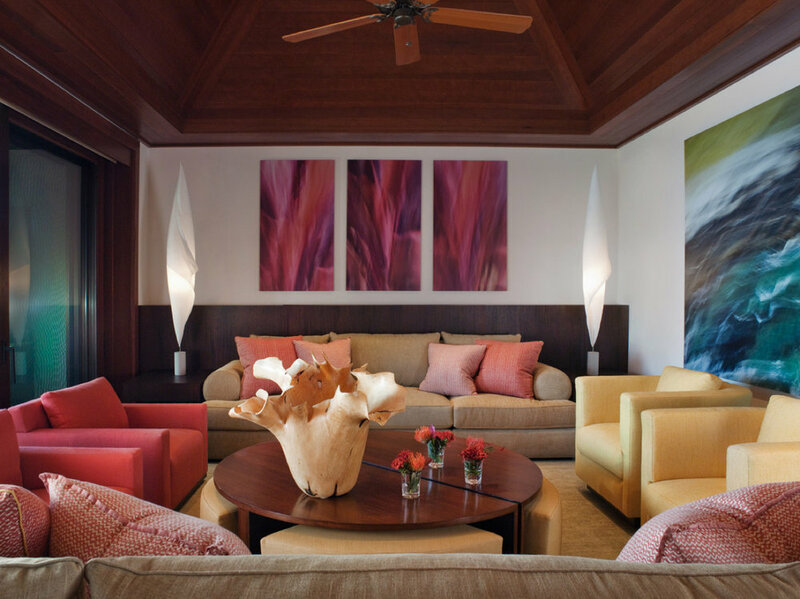 Customized furnishings commingle with one-off pieces to provide a level of comfort for groups of all sizes, from intimate family gatherings to extended family entertaining. 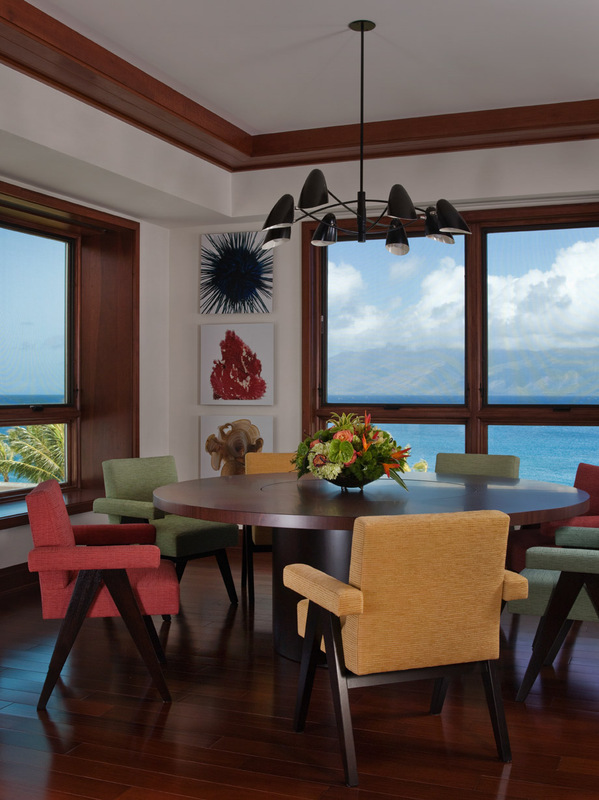 While tribal-inspired pattern Fortuny fabrics and hemp area rugs bring a relaxed sensibility, sculptural 1940’s-inspired dining chairs keep the residence contemporary. Artworks by two Bay Area artists–David Liittschwager and David Livingston–were inspired by the ocean landscape and local sea creatures and also contribute to this balance.